R. L. Stine is the #1 bestselling children’s author in the world with over 300 million books sold in over 30 languages. In fact, for three consecutive years during the 1990s, USA Today named Stine as America's number one bestselling author. He’s best known for his Fear Street, Goosebumps, and Rotten School series. The Goosebumps TV show was the #1 kids' show in the U.S. for three years in a row. R. L. Stine received the Disney Adventures Kids' Choice Award and the Nickelodeon Kids' Choice Award three times, plus the Thriller Writers of America Silver Bullet Award. Matthew Peterson: You’re listening to The Author Hour: Your Guide to Fantastic Fiction, which can be found at www.TheAuthorHour.com. I’m your host, Matthew Peterson, author of Paraworld Zero. 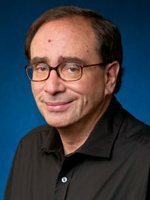 My next guest is R. L. Stine, the #1 bestselling children’s author in the world with over 300 million books sold in over 30 languages. In fact for three consecutive years during the 1990s, USA Today named Stine as America's number one bestselling author. He’s best known for his Fear Street, Goosebumps, and Rotten School series. And the Goosebumps TV show was the #1 kids' show in the U.S. for three years in a row. R. L. Stine received the Disney Adventures Kids' Choice Award and the Nickelodeon Kids' Choice Award three times, plus the Thriller Writers of America Silver Bullet Award. Thanks for being on the show today, Bob. R. L. Stine: Oh, thank you, Matthew. It’s very nice to be here. R. L. Stine: Oh, please! Now I have to go take a nap! Sorry you reminded me. They don’t let me out much. Matthew Peterson: Yeah! I just can’t imagine writing so many books and so much success. What got you interested in . . .
R. L. Stine: I still love it. I don’t know, I still look forward to getting up in the morning and typing, typing. R. L. Stine: I wouldn’t know what else to do all day. Matthew Peterson: [laughs] Well, what got you interested in the first place in writing? R. L. Stine: Well, I have no idea. I was a weird kid, Matthew. I started when I was nine years old. And I found this old typewriter up in the attic and dragged it down to my room and just started typing stories, typing little funny magazines. I don’t know why I found it so interesting. But I think I knew when I was nine years old that I wanted to be a writer. R. L. Stine: My mother would be outside my door and she’d say, “Go outside and play. What’s the matter with you? Go outside.” And I’d say, “It’s boring out there.” Type, type, type, type. Matthew Peterson: [laughs] And this is one of those old typewriters. I think I had one when I was a little kid... or my dad had one. Where you had to use the whiteout strips and the . . .
R. L. Stine: Oh, yeah. People had carbon paper; we made copies. Now kids don’t know what that is. You know, you see typewriters in a museum now. Matthew Peterson: Yeah. That’s how I learned how to type, myself. Same age as you, doing that. Matthew Peterson: That’s great. Well what made you decide to write horror books for children? R. L. Stine: Well I . . . first I was funny. I was funny. I wrote maybe a hundred joke books for kids and funny books. My very first book was called How to Be Funny. R. L. Stine: And it was about how to get big laughs at the dinner table. R. L. Stine: And how to be funny in school, and parents hated this book. R. L. Stine: Very subversive. But I always wanted to be funny. I did a humor magazine called Bananas for ten years back in the ‘70s and the ‘80s. It was sort of a Mad magazine. I always loved horror. When my brother and I were kids, we used to go every Saturday... we’d go see some horror film: you know, It Came from Beneath the Sea or The Creature from the Black Lagoon. R. L. Stine: I loved all that stuff! And it was very influential on me. But I never really thought of--it’s kind of embarrassing--I never thought of writing horror until an editor suggested it to me. It wasn’t even my idea. I was still being funny! I always say, you know, “I don’t really want to terrify kids.” They’re sort of teasers. Matthew Peterson: Yeah. Now the covers of your books are... [laughs] some of them are very horrifying. Matthew Peterson: [laughs] I know there must be more than one artist, but I have to hand it to them . . .
R. L. Stine: No, actually, the first 87 books--the original Goosebumps series back in the ‘90s--covers were all done by a guy named Tim Jacobus. R. L. Stine: Who painted a cover every month. R. L. Stine: He did all 87. He was amazing! Matthew Peterson: Yeah, those covers are so memorable. They’re just, like you said, amazing. R. L. Stine: Well, he was good because he captured the humor as well as the horror. They are scary, but they are also kind of funny at the same time. You know, that’s what I try to do in the books. And I think that’s what he did in all those covers. Matthew Peterson: You’ve written quite a lot of books, and these are short books; you can read them fairly quickly. Like you said, he was doing one a month, of the covers. R. L. Stine: Writing a novel a month. Matthew Peterson: A novel a month. Matthew Peterson: Where did you get all your ideas without overlapping yourself? R. L. Stine: It’s unbelievable, right? That was the highlight of my trip. R. L. Stine: [laughs] Yeah, that’s right. R. L. Stine: Seriously, what I do is, [laughs] I get ideas from . . . I think of the titles first. I think I work backwards from most authors. Most authors get an idea for a story and they start to write it, and then later they think of a title. But I think of the title first and then the title sort of leads me to the story. Like I had this Goosebumps title: Say Cheese and Die. R. L. Stine: And it was a good title. R. L. Stine: And then you just keep going from there. And I do that with a lot of things. Here’s a title I’m very proud of. It’s a Goosebumps Horrorland book that’s coming out in March. It’s called Little Shop of Hamsters. Matthew Peterson: Oh, I love that. I love it. R. L. Stine: It’s a great title, right? R. L. Stine: I worked very hard to make hamsters scary. R. L. Stine: I will tell you... [laughs] I had a hard time. But I loved the title so much, I just had to keep plugging away. R. L. Stine: Yeah, he really did, I know! Figure, either you make them really big or you put a lot of them in. Matthew Peterson: Yeah, with different colored eyes. Matthew Peterson: Do you usually have the ending of the book in mind when you write? R. L. Stine: Yeah. Always. R. L. Stine: Which is what I do. I know the ending, so then I know I can always get there. I know what it is. I don’t do this... write a book a month anymore, but almost. If you write that many books, you’ve got to do a lot of planning, I think. I plan out every book first before I write a word. I do a chapter-by-chapter outline of every book. So before I start to write, I know everything that’s going to happen in the book. I have it all planned, and then I can just enjoy the writing. I’ve done all the hard part. I’ve done the thinking before I start to write. R. L. Stine: I try to tell kids this. Everyone hates outlining, right? Matthew Peterson: Exactly. Yeah. Actually, that’s exactly how I write. I do the exact same thing. R. L. Stine: Oh, yeah? Matthew Peterson: I usually get the ending first. And then I write the outline. I know some authors--who are very successful authors--will just start writing, and they don’t know what exactly is going to happen. Matthew Peterson: Yeah, that’s not me either. R. L. Stine: I don’t know, it would make me nervous not knowing what’s happening. Matthew Peterson: Yeah. Well, your books have become a TV series as well--which have been very successful. The Goosebumps series. R. L. Stine: I was very lucky with that show. They did a really good job. You know, with television you never know what you’re going to get. And I was just very lucky because they did a great job. ‘Course, I have to say, it was interesting for me as a writer, you know, sitting home and everything to see what other scriptwriters would do with my stories. That was kind of fun. I enjoyed that part. Matthew Peterson: Yeah. Did you have much say in the script writing? Matthew Peterson: Oh, yeah. Yeah, definitely. R. L. Stine: You know, I have a couple of TV movies that were on recently. One was called Mostly Ghostly. It was on the Disney Channel and one called The Haunting Hour, which was on Cartoon Network. I think they show them every Halloween now. R. L. Stine: Yeah, that’s right. R. L. Stine: [laughs] Well, great! R. L. Stine: [laughs] Well, the poor pizza guy in that movie. R. L. Stine: The poor pizza delivery guy. He doesn’t end up too well. Matthew Peterson: Yep. Well, we are going to get some more Goosebumps Horrorland books. That’s some of the books that you’re working on right now. And you mentioned one of them: Little Shop of Hamsters. R. L. Stine: Yeah, that’s what I’m doing. Matthew Peterson: The one that came out this month, January, is Goosebumps Horrorland: When the Ghost Dog Howls. R. L. Stine: Yeah. That’s pretty creepy. The kid is wearing a tooth from a dog, and the tooth makes wishes come true... but not in nice ways. And it also makes the dog return for its tooth. R. L. Stine: So it’s creepy. I’m doing seven new Goosebumps Horrorlands for 2010. So that’s fun. I just wrote the 100th Goosebumps book. That’s kind of interesting. Matthew Peterson: Oh, wow! 100th Goosebump. R. L. Stine: I don’t know. R. L. Stine: You know, I type with one finger too. R. L. Stine: Yeah. I don’t even type with two fingers. I’ve written like 300 books with just one finger. R. L. Stine: I’m telling you, Matthew. No, it’s ruined. The finger is ruined. Matthew Peterson: Oh, wow. That’s like hundreds of thousands of words on one finger. R. L. Stine: One finger, I know. If the finger goes, that’s the career. R. L. Stine: I’m finished. R. L. Stine: [laughs] That’s a career. That’s right. Matthew Peterson: Yep. Well, that’s about all the time we have, Bob. I’ve been speaking with R. L. Stine, the #1 bestselling children’s author of Goosebumps and Fear Street. Thanks so much for being on the show today. R. L. Stine: Well, I really enjoyed it, Matthew. Have a scary day! Alright, after the show, don’t forget to visit www.TheAuthorHour.com to listen to the bonus questions that didn’t make it onto the live show. Don’t go away. I’ve still got Todd McCaffrey, who’s continuing the Dragonriders of Pern, coming up next.